Telemedicine refers to the delivery of clinical services at a distance. The practice of telemedicine largely breaks down into three types of solutions, store-and-forward, remote patient monitoring, and real-time encounters. Store-and-forward telemedicine is also called “asynchronous telemedicine.” It is a method by which healthcare providers share patient medical information like lab reports, imaging studies, videos, and other records with a physician, radiologist, or specialist at another location. It isn’t unlike email, but it is done using a solution that has built-in, sophisticated security features to ensure patient confidentiality. Store-and-forward telemedicine is an efficient way for patients, primary care providers, and specialists to collaborate because they can all review the information when it is convenient for them. The approach gives patients access to a care team that can be comprised of providers in different locations, even across long distances and in different time zones. Store-and-forward is particularly popular for diagnoses and treatment with certain specialties including dermatology, ophthalmology, and radiology. Remote patient monitoring, or “telemonitoring” is a method that allows healthcare professionals to track a patient’s vital signs and activities at a distance. This type of monitoring is often used for the management of high-risk patients, like those with heart conditions and people who have recently been released from the hospital. Remote monitoring is also extremely useful for the treatment of a number of chronic conditions. It can be used by diabetics, for example, to track their glucose levels and send the data to their doctor. Elderly patients at home or in assisted living facilities can be conveniently and inexpensively monitored. 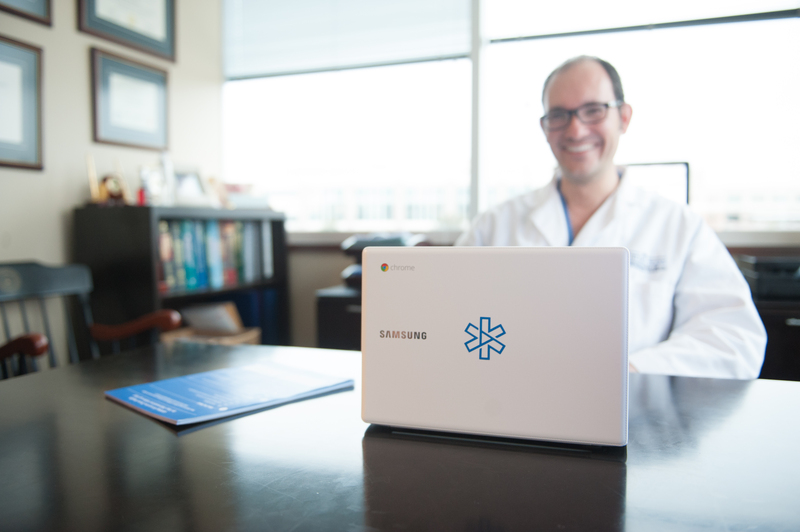 When you think of telemedicine, it is likely real-time video visits that comes to mind. 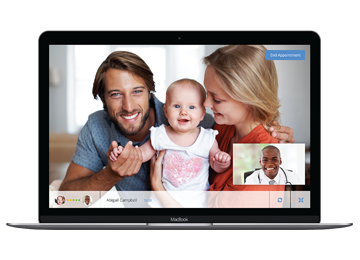 During a real-time telemedicine encounter, patients and providers use video conferencing software to hear and see each other. While the other types of telemedicine are used to enhance traditional in-person visits, real-time telemedicine can be used in lieu of a trip to the doctor’s office in certain situations. It is popular for primary care, urgent care, follow-up visits, and the management of medications and chronic illness. It is important to note that the consumer video communication applications that we use to connect with friends and co-workers, like Facetime and Skype, are not appropriate for telemedicine. Telehealth encounters should be conducted using technology that has been designed to protect patient privacy and meet the strict patient protections required by the Health Insurance Portability and Accountability Act (HIPAA). Each type of telemedicine gives providers another way to deliver effective, efficient care to patients. They expand access for patients and provide a more convenient way to get the care they need.